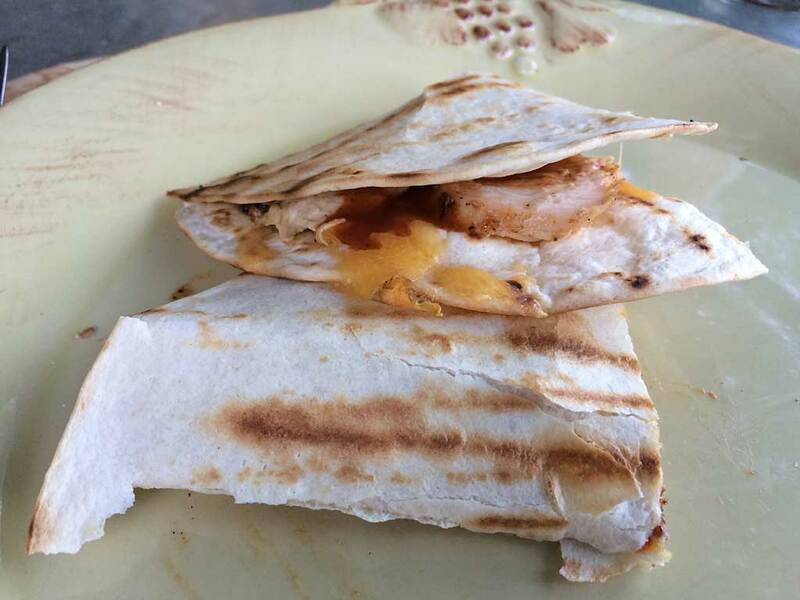 Making chicken quesadillas on a Weber gas grill is so easy that I hesitate to tell you how to do it…but I’m going to tell you anyway! 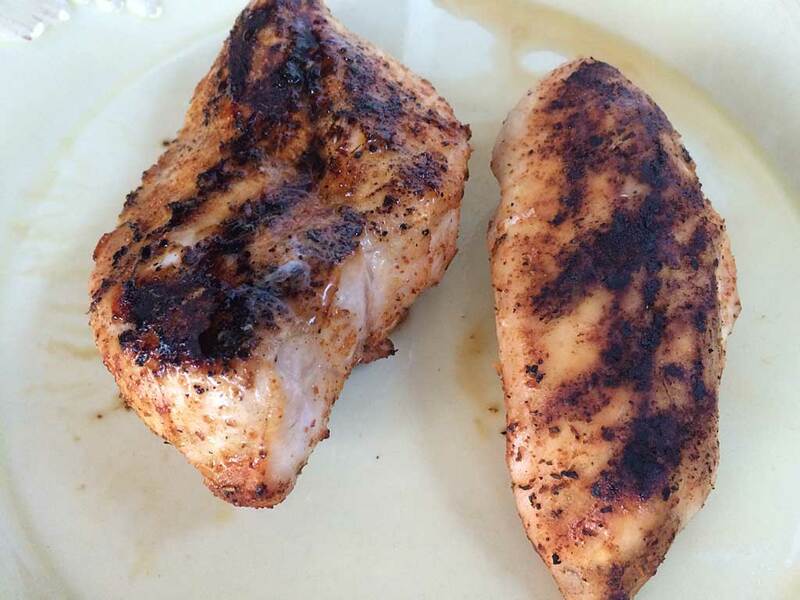 Start by grilling a few boneless, skinless chicken breasts using your favorite rub or marinade. If you don’t have a favorite, try Slap Yo’ Daddy BBQ Jailbird Chicken rub. Grill the breasts over MEDIUM heat to 160-165°F, let rest for a few minutes until you can handle the meat, then cut or shred into bite-sized pieces. Now place a flour tortilla on the grate over MEDIUM heat and grill until slightly toasted with grill marks. 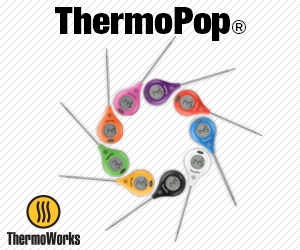 Flip the tortilla and add a modest amount of shredded cheddar cheese or a mix of Mexican-style cheeses. 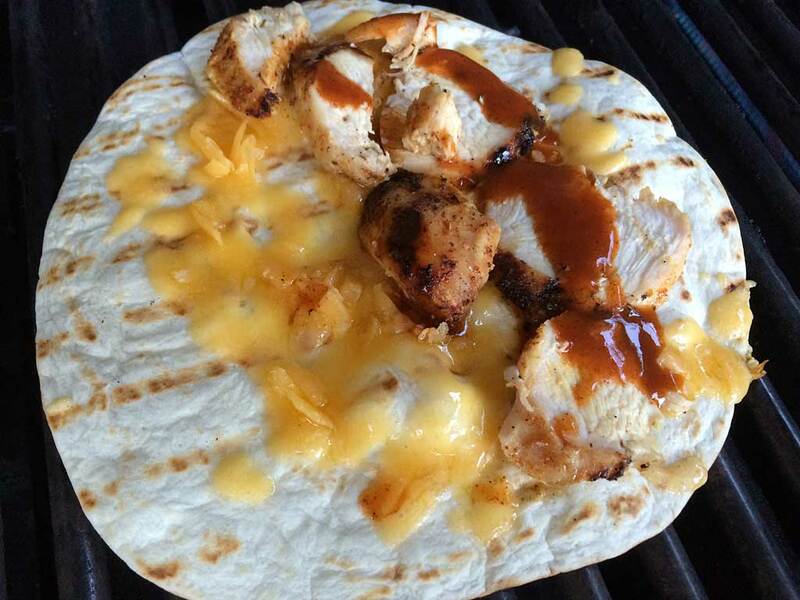 Add a modest amount of chicken on top of the melting cheese and apply a squirt of whatever sauce you like—I used Slap Yo’ Daddy All-Purpose Easy Sauce, but you can use taco sauce, hot sauce, or whatever. 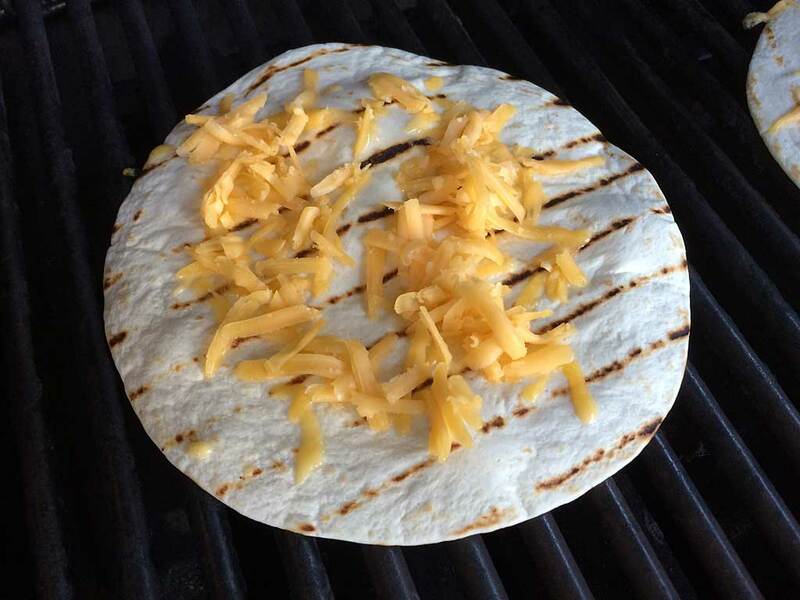 Once the cheese is melty and the second side of the tortilla has some grill marks, move the tortilla off the grill to a plate. Fold in half, cut into two pieces, and enjoy! Of course, you can make lots of variations on this theme. 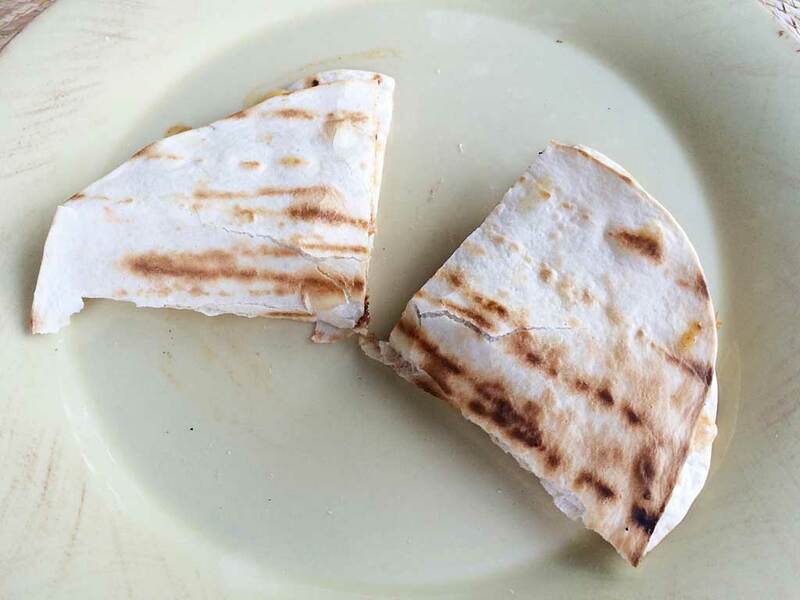 The key to a successful grilled quesadilla, I think, is to use small amounts of cheese, meat, veggies, sauce, etc. 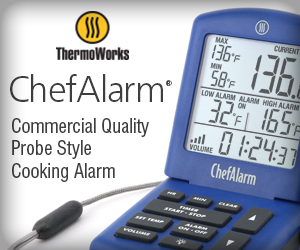 so the tortilla toasts and the ingredients heat at the same rate. Too much stuffing inside the tort and you’ll have a toasted tortilla with lukewarm stuffing!